The history of Malacara dates back to the year 1888, when Don Rafael Alvarez Lalinde inherited a property in the slopes of the Santa Ana volcano from Rosa Valle, wife to his late brother, Francisco Lalinde. He and his 13th son, Samuel, began cultivating coffee in 1925. 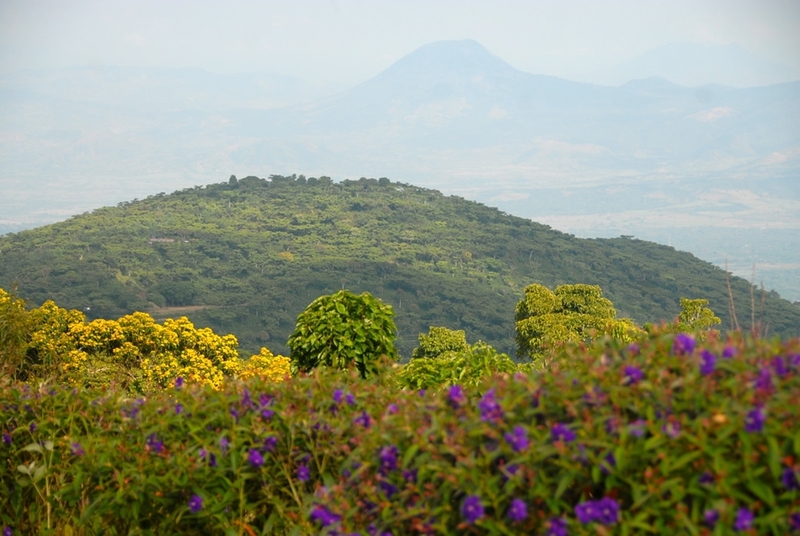 Soon Malacara became known as one of the largest farms in the Santa Ana volcano region. In 1995, three grandchildren of Don Rafael (Samuel, Emma and Arturo Alvarez Meza) inherited Finca Malacara and divided into three lots: A, B and C. The 50 hectares known as Malacara B stayed in the hands of Emma Alvarez. Ripe Bourbon cherry is milled separate from the other farms, at Beneficio El Borbollón. Machine and manual selection ensures uniformity of size and lack of defects in the beans. Malacara B routinely places in the El Salvador Cup of Excellence and continues to be a highly commended farm in a country full of innovative producers. Below, the Alvarez family. Click to enlarge the photo.